May 16, 2018 at 10:20am featuring David R. Cook Jr. The following is part one of a two part series originally published online in School Construction News on Wednesday, 25 April 2018. 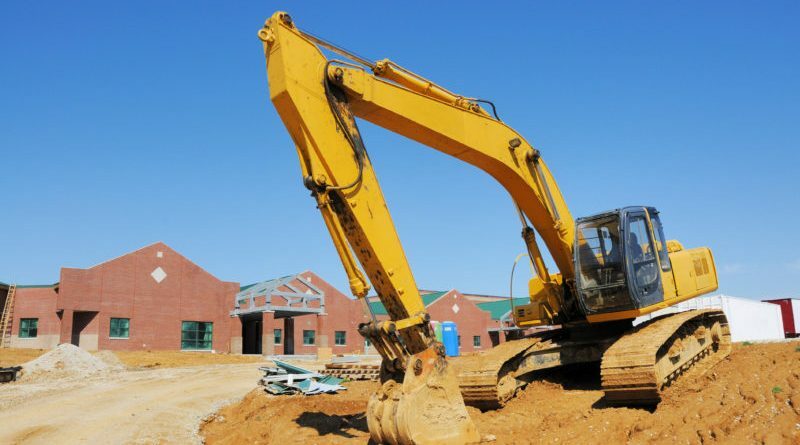 While there are many precautions a school facility manager may take in school construction, one of the best precautions is to have solid construction and design contracts. We all expect our school construction projects will go smoothly, on time and under budget. But despite our best efforts, some projects will encounter speed bumps, detours or outright roadblocks. While there are many precautions a school facility manager may take, one of the best precautions is to have solid construction and design contracts. A good contract will account for the known risks and specify an outcome in favor of the school authority. School construction risks can be categorized into a few categories: performance risk, time risk, cost risk and political risk. Some risks are typical to all construction projects, while others are peculiar to the unique needs of school authorities. At the outset, it should be noted that contracts provide protection only when they are enforceable. As a result, school facility managers must ensure proper formalities are followed for bidding, procurement and contracting. Failure to follow these requirements could render the contract unenforceable, and the school authority may be unable to recover from the other party or its surety. In Part I of this article, we will discuss the performance risk and time risk categories, and in Part II, we will cover cost risk and political risk. Certain provisions of construction and design contracts can minimize performance risks. For example, the design contract should clearly express the school authority’s wishes for conceptual design, offer the facility manager multiple opportunities for reviewing the design, expressly require the designer to incorporate all legal requirements and clearly designate the designer’s responsibility for inspecting the work. Due to the importance of these obligations for project success, the design contract should not unduly limit the designer’s liability. The construction contract should require strict compliance with the plans and specifications and should grant the facility manager and others the right to observe the work at any time. The contract should include a warranty that the work will be performed with good workmanship and compliant materials. (However, this warranty should expressly not be the school authority’s sole remedy for defective or non-compliant work.) If defects are suspected, the facility manager should have the authority to suspend the work for further observation. If defects are discovered, the contractor should be required to remedy them without additional compensation. If it fails to do so, the contract should permit the school authority to terminate the contract for cause, direct the performance bond surety to perform and remedy all defaults, and enforce other remedies. In the event of a faulty design, the contractor may seek additional compensation based on a theory that the school authority implicitly warranted that the design was adequate (known as the Spearin Doctrine). To counteract such a claim, the construction contract should expressly disclaim any warranty concerning the design. Though, it should be noted that some states are reluctant to enforce such clauses, so the design contract should require the designer to indemnify the authority for Spearin claims. Another important risk is delay in project completion. Because schools must adhere to a pre-set school calendar and they typically have limited alternate space, delays are particularly disruptive. As a result, contracts should expressly set the time for completion and could establish interim milestone deadlines. They should require the contractor to provide an initial schedule with periodic updates, both of which should be based on sound scheduling logic. These updates, if accurate, will alert the school authority of delayed completion and the need to secure alternative facilities. To encourage timely completion, contracts could impose liquidated damages for delays and provide an incentive payment for early completion. They should address time extensions, but ultimately give the school authority the right to accelerate the work to ensure timely completion before summer ends. Lastly, if the contractor believes it has encountered a delay for any reason, the contract should require timely notice to the school authority so it can address the underlying problem and limit delays. Stay tuned for Part II of this article to be published next month. David R. Cook is a partner at the Atlanta-based law firm, Autry, Hanrahan, Hall & Cook, LLP. He practices in the firm’s construction law group, representing specialty contractors in connection with their contract negotiation and drafting, commercial and corporate transactions, and dispute resolution, litigation and arbitration of construction claims.